The NBSCCCI said the files they read left them in no doubt that a “great number of children were seriously abused by Brothers”. SINCE JANUARY 1975, a total of 870 allegations of sexual abuse have been made about 325 Christian Brothers. In the same period, 12 convictions have been secured against offenders. The greatest	concentration	(about 70 per cent)	of	alleged	incidences	of	abuse	relate to	a	20-year	period	from	1956	to	1975,	the	darkest	period	in	the	Congregation’s	history. All	allegations of	abuse	against	Brothers	have	been disclosed	to gardaí and PSNI. Of the 325 men accused, 145 are dead, 130 have left the Congregation and 50 are still living members. The National Board for Safeguarding Children in the Catholic Church in Ireland’s review of the province was published today and found that safeguarding practices and child protection structures have improved since failures were acknowledged in 2009. In a statement, the Christian Brothers said: they accept	that	a “deficit	existed	in	the	past	and	they	deeply	regret	the hurt	that	this	causes”. “We	want	to	learn	from	the	mistakes	of	the	past	and	to	create	a	safe	environment	for	all children	and	young	adults. By	developing	robust	child	protection	measures	and	inviting	the National	Board	to	independently	assess	these,	we	aim	to	continuously	enhance	child	protection safeguards	so	that	the	mistakes	of	the	past	may	never	be	repeated,” they continued. However, it noted that it was not its remit to deal with historical issues but to review current practice and management of risk. Reviewers found that until “relatively recently, the internal Church processes within the Christian Brothers were not carried out, much to the detriment of both complainants and accused Brothers”. But there are now “clear protocols in place for Brothers with allegations and accusations”. The NBSCCCI noted the gravity of the challenge faced by those responding to the hurt caused by the abuse. Before 1997, 92 allegations of abuse were received but between 1998 and 2013, 794 allegations were made. “It is evident that the volume of allegations placed overwhelming pressure on the structures designed to address child protection concerns within the Province,” the report explains. Of the 325 Brothers against whom allegations were made, 50 are alive and live as part of the European Province of Christian Brothers. Reviewers says they believe it is safer for children for the accused to remain as part of the community where safety plans can be put in place. It notes that the accused men who have left the congregation and who have not been convicted are no monitored and supervised. Reviewers were informed that the Christian Brothers’ membership in Ireland now stands at 267 and the average age is 74 years old. There are no new brothers in formation and the Province’s historical base in Ireland has reduced substantially. There has also been a significant shift in the Christian Brothers work with children and young people in Ireland, which is a fractio n of what it was thirty years ago. The Brothers had closed all of the industrial schools between 1954 and 1974. In 2008, declining numbers of Brothers and an aging membership forced the Province to move out of direct education provision, transferring responsibility for the network of mainstream schools. Reporting of allegations now occurs promptly and a positive working relationship exists between them and the HSE. There were some negatives recorded about current practices, including the recording of safeguarding procedures. The board recommended separate files for safeguarding which can be kept alongside legal or litigation documents. It was also unclear from files if Brothers were removed from ministry once an allegation was made, as per the stated policy of the Province leadership. The Brothers were also told to consider a more pastoral response to allegations which would include meeting victims and hearing their experiences. 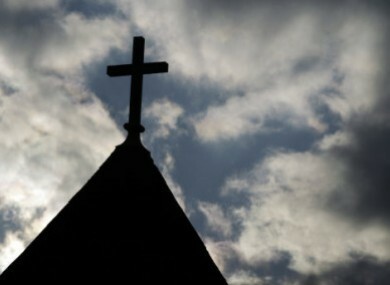 Email “Just 12 Christian Brothers convicted after 870 allegations”. Feedback on “Just 12 Christian Brothers convicted after 870 allegations”.